Throughout this issue we have looked at different developments with the potential to create a step change in performance. Moving from a fission process to a fusion one would also deliver a step change. The energy output from successful fusion is potentially many times greater than the energy we create with fission. Beyond the increased energy output, the fusion process has the advantage of using more easily available fuels and the waste products are significantly lower with shorter half-lives, making it an even cleaner and more sustainable energy source. Nuclear fusion has been pursued for more than 60 years, the key goal being a sustainable reaction. The tremendous energies involved – fusion essentially recreates the reactions that occur at the heart of our sun – mean that both powering and engineering the process is a huge challenge. 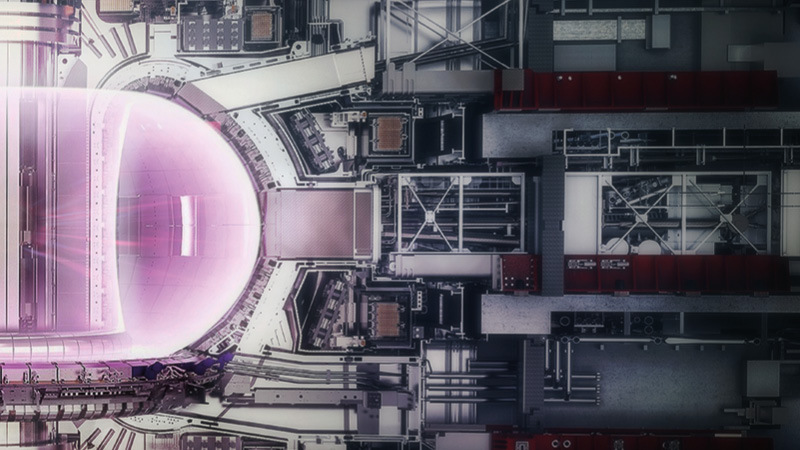 The ITER project, an international nuclear fusion megaproject, aims to prove the feasibility of fusion as a large scale carbon-free source of energy. Construction of the ITER facility is scheduled to complete in 2025 with early experiments beginning in a four-stage process over the ensuing 10 years. The whole facility is a testbed for the methods and technologies needed to achieve a stable source of power with fusion. The reactor will create plasma, a molten mass of electrically charged gas heated to temperatures of about 150 million degrees Celsius and contained within a specially shielded, doughnut-shaped container called a tokamak. ITER’s tokamak will be the world’s largest magnetic plasma confinement experiment, more than ten times larger than the largest existing model. The aim of ITER is to build the first reactor capable of generating a ‘burning plasma’, meaning a plasma that is largely self-heating, generating approximately 10 times more thermal energy output than the thermal input required to power the plasma reaction. Fusion is only part of Wood’s work on future nuclear technologies. Our involvement in research into high-temperature Generation IV reactors ranges from materials testing to the application of virtual reality design techniques, and we have also designed the cores for small modular reactors. These technologies have the potential to meet the world’s energy needs in a safe and cost-effective way, a combination that remains a challenge for today’s fission reactors.